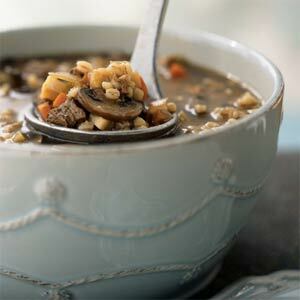 Beef Mushroom Barley Soup is one of the most loved soups of all time and to call it a family favourite won’t be wrong. It is true that this soup takes a lot of time to cook but it is worth it. But the most amazing thing about this soup is that it gets better with time so it would be a great idea to make plenty of this soup and enjoy it throughout the week. Round steak, cut into sm. pieces - 2 lb. 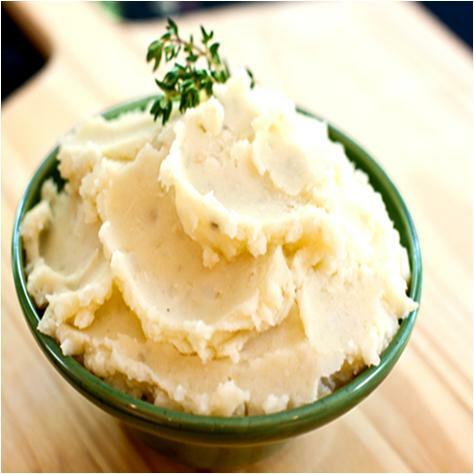 Chopped onions - 2 c.
Diced carrots - 1 c.
Diced celery - ½ c.
Sliced mushrooms - 1 lb. Minced garlic or 1 clove - 1 tsp. Beef broth - 1 can or 2 c.
Chicken broth - 1 can or 2 c.
Pearl barley - ½ c.
You cannot progress any further without cooking the meat first. So the first thing you got to do is to take a large skillet and add the beef stew meat to it. Let it cook for a while and when you are sure that the meat is completely browned, turn off the heat. Do not overcook the meat in order to brown it a little more and be careful in this very step. Now take the meat out of that skillet and place it in a large soup bowl. Then take some vegetable oil and heat it up in the very same skillet over a medium heat. When the oil is heated, add onion, celery, and carrot to it and constantly keep stirring until the onions are tender. It will take around 5 minutes. You can then take the vegetable mixture out of the skillet and add it to the meat in the pot. Take beef stock and pour it into the pot. Now place the soup over low heat. Let it cook and stir it constantly until the beef is completely tender. Wait for couple of hours. Stir mushrooms through the soup and cook it one more hour. Your Beef Mushroom Barley Soup is ready to serve. This is probably the perfect side order for your beef mushroom barley soup.